This is my first nail polish remover in a tub I bought after hearing a few youtubers reviewed it. 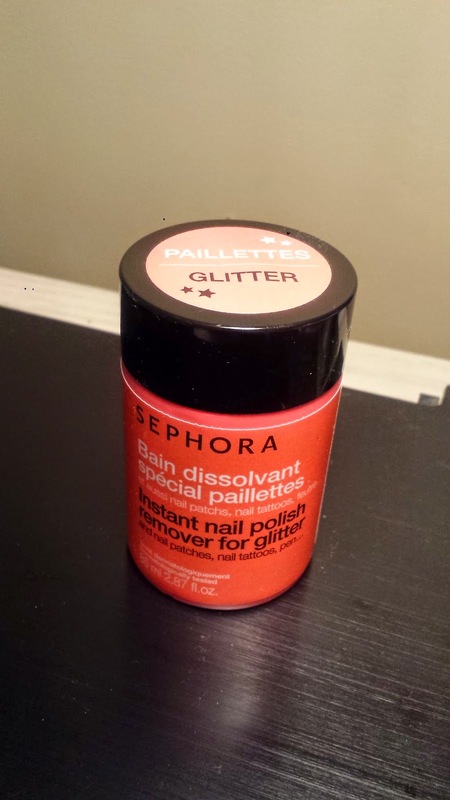 I got this from the annual 20% sale from Sephora last fall, which I feel a little better because it is not cheap for a nail polish remover! After purchasing this, I found out there are other more affordable alternatives at the drugstore or places like Walmart. 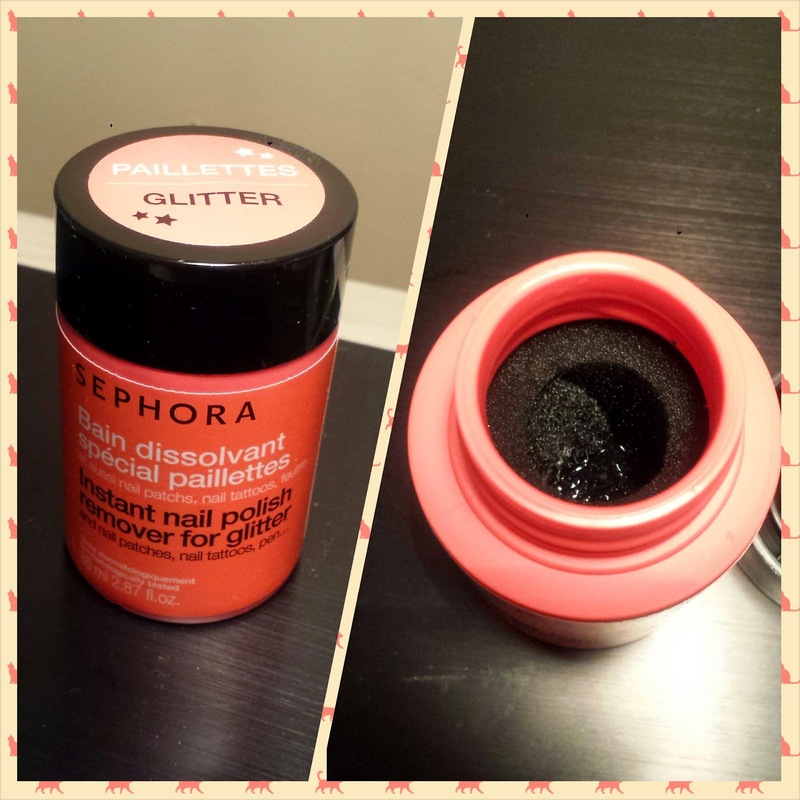 I don’t really like the idea of soaking my fingers in acetone, so I only use this when I have to remove intense glitter. Acetone is so drying and bad for the skin! On the days that I want to use this, I would first use my non-acetone nail polish remover to remove as much polish as I can, until I am left with those stubborn glitters, then I would dip my finger into this. In addition to the normal sponge around the perimeter inside the tub, there is a rougher piece of sponge, in the centre (just like the rough side of your dish washing sponge) for you to rub your nail against to get those glitter off. So you are soaked in the remover and rubbing the nail at the same time. I can safely say that this process will take around a few seconds and all glitter will be removed! 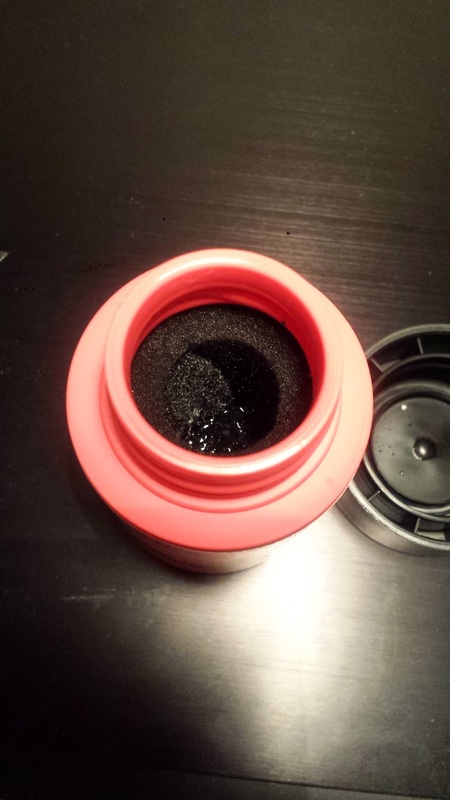 One downside of this is the glitters can accumulate inside the bottle and when you pull out your finger, you might need to clean up those loose glitters, but that is a minor issue. I already have plans to refill this bottle with my normal nail polish remover once this is used up! But I would need to clean up the glitter accumulation first. This remover works great for what it claims! I would recommend this. But only beware of how it can dry out your skin, so use sparingly!